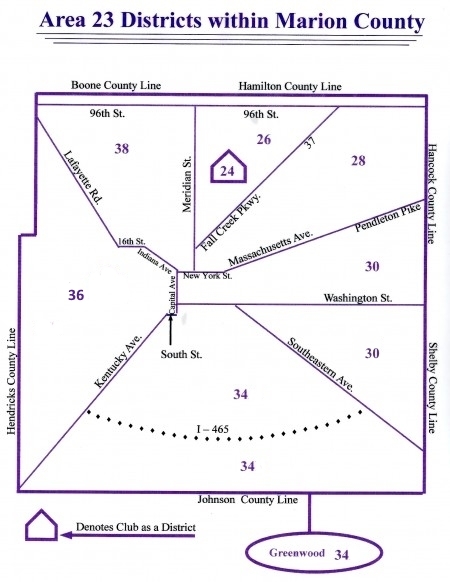 Area 23 represents the counties of Southern Indiana, starting in an area just north of Indianapolis. 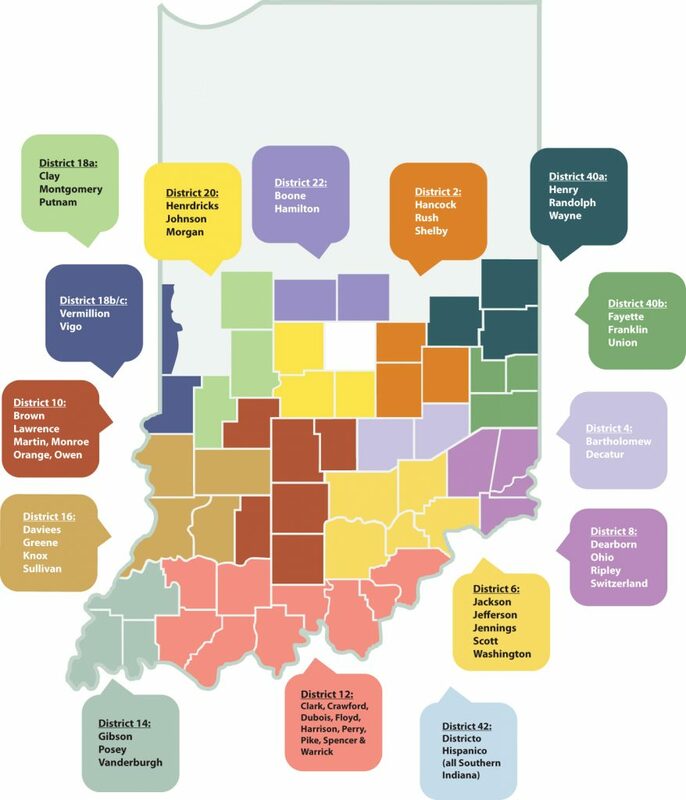 The Area is comprised of approximately 21 Districts (which appears to fluctuate from year to year) from 54 counties. Copyright © 2019 Area 23 of Southern Indiana. This website is neither approved nor endorsed by Alcoholics Anonymous World Services, Inc. It is provided as a public information tool and as a resource for A.A. members. Links to other websites neither imply endorsement of, nor affiliation with, those entities. Some of the information on this site was originally published by A.A. World Services, Inc., or the A.A. Grapevine, Inc., but do not assume that this implies continued approval by the General Service Conference for their use on this site. Alcoholics Anonymous®, A.A.®, The Big Book®, and Box 459® are registered trademarks of Alcoholics Anonymous World Services, Inc. A.A. Grapevine®, GV®, Box 1980®, and La Viña® are registered trademarks of A.A. Grapevine, Inc.